Named one of the Best Places to Work according to the San Antonio Express News and the San Antonio Business Journal, Coldwell Banker D’Ann Harper, REALTORS® is led by a wonderful lady, D’Ann Harper, who has set the tone by promoting trust, partnership and innovation in her company. By empowering her entire staff that branches across eight offices in six different surrounding cities, D’Ann has embraced her company with compassion. Moreover, D’Ann has tasked singularly unique managers who carry her ideals to the forefront and have continued to elevate the company by helping elevate each other. D’Ann Harper was honored in September 2015 with a Hero of the Year award from Coldwell Banker Real Estate LLC. The Coldwell Banker brand is known worldwide for its charitable efforts, such as Habitat for Humanity, Toys for Tots, Ronald McDonald House and the Susan G. Komen Race for the Cure. The Hero of the Year Award honors one Coldwell Banker individual, office, and/or company that has taken great pride in strengthening their community while going the extra mile to ensure that those in need have a trusted advocate to ensure a brighter future. As a leader in the real estate industry, D’Ann Harper is well respected in the community and beloved by her employees. Making Coldwell Banker D’Ann Harper, REALTORS® a family affair has built a sense of trust and partnership. Innovation and growth, along with empowering others, have guided D’Ann on the path of leadership. 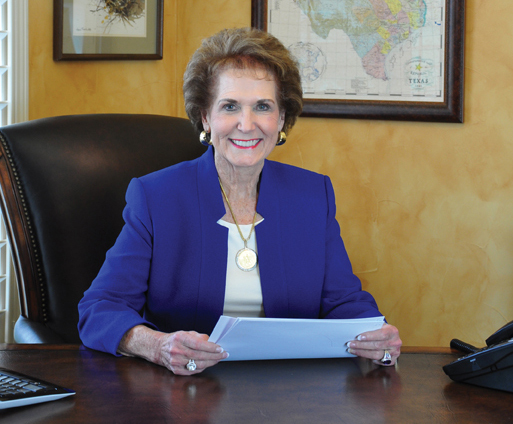 She is an inspiration to many and considered a powerful resource in local real estate.